Rising levels of antisemitism in recent years – and even more recently with the Pittsburgh synagogue shooting — remind Jews around the world of some of the bleakest times in their history. Yet, somehow the Jewish people, their religion and their culture have lived on. 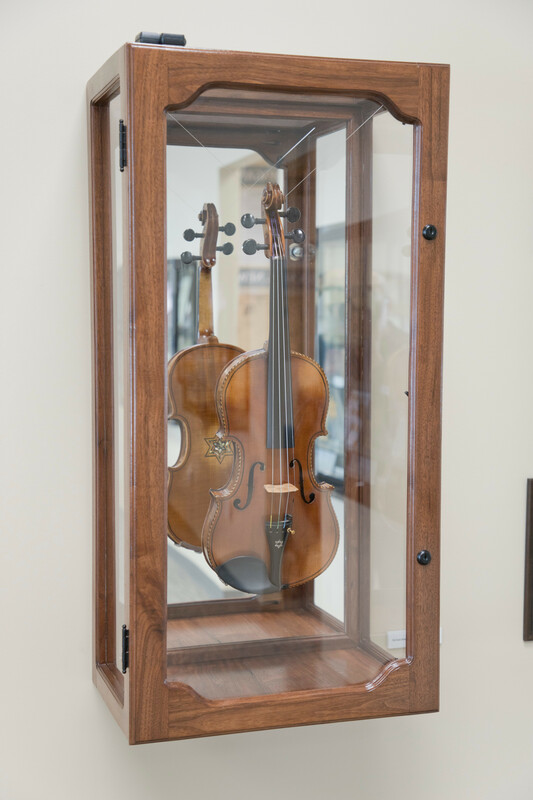 A symbol of that strength and fortitude is a violin on display at the Craig and Barbara Weiner Holocaust Resource Center at Nova Southeastern University’s Alvin Sherman Library in Davie. 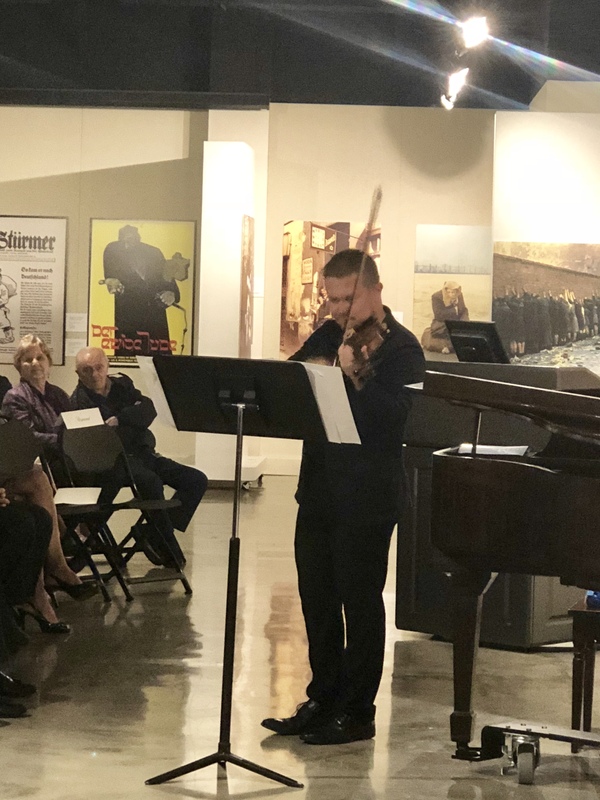 Originally handcrafted in the late 1800s, the violin somehow survived the perils of the Holocaust as well as so much more that Jewish people have faced over the past more than 100 years. 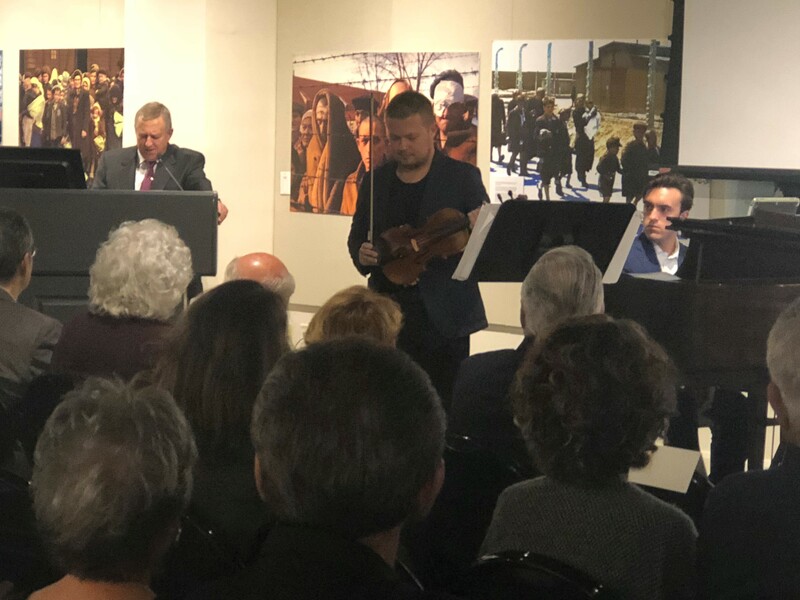 Last Tuesday, the violin – silenced since the Holocaust – was brought back to life by Yefim Romanov, a Russian American violin fellow with the New World Symphony Orchestra. Romanov and fellow symphony musician, concert pianist John Wilson, performed an extraordinary evening of music at the Alvin Sherman Library. Five Holocaust survivors were among the more than 100 guests who enjoyed the debut performance. Romano truly appreciated the opportunity to be the first to bring this rare instrument–which has a large Jewish star carved on the case—to life. The violin will continue to be on display at the Holocaust Resource Center in the library. For more information on the center, click here or go to this link.